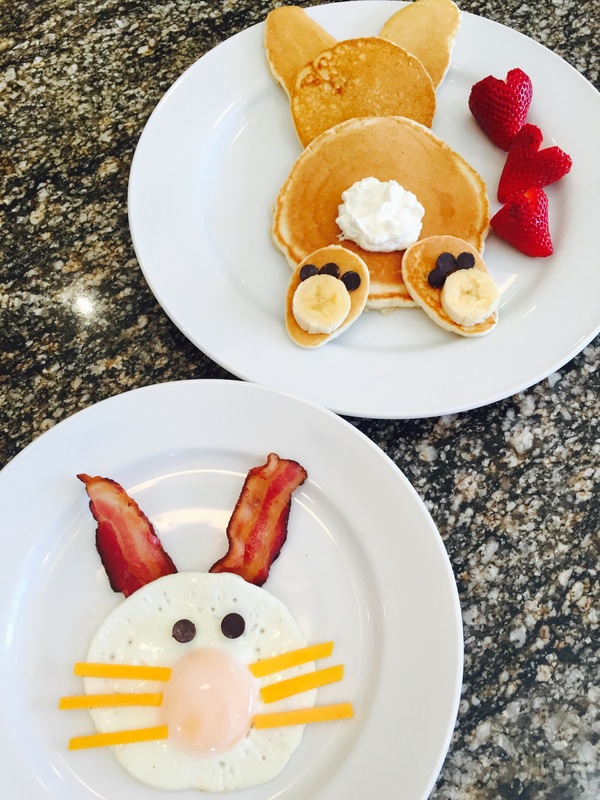 Everybunny loves bacon, eggs, and pancakes! What better way to spend the day off work! Both of these dishes were super easy to make! For the bunny pancakes I just made 6 pancakes in all different sizes! 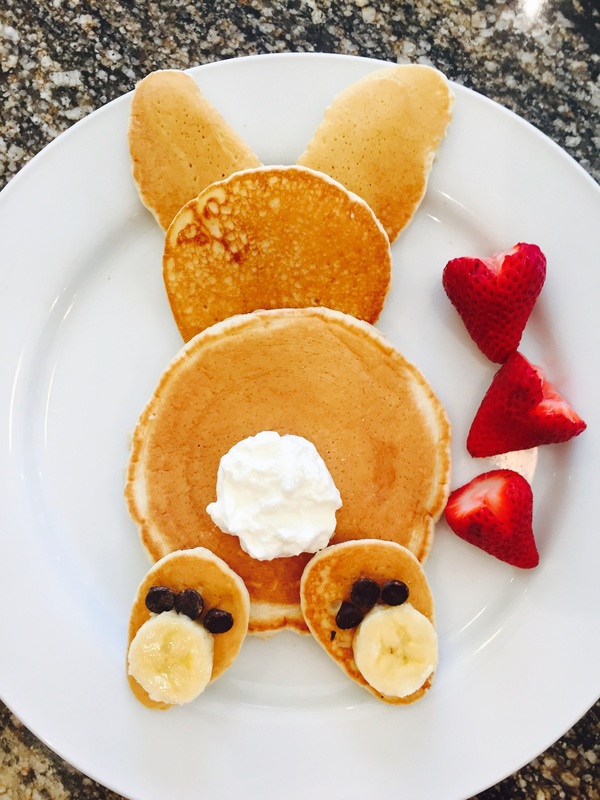 I used chocolate chips and slices of bananas for the bunny paws and some whipped cream for the tail (you could add some coconut to make it look more like fur.) I finished the dish off with some strawberries cut into hearts! One little thing I realized I mixed up after the fact was that I made the feet upside down (woops). If you make a mistake it will most likely only be you that notices so don’t worry too much! The bunny egg was even simpler! I used a small frying pan to cook a perfect egg. 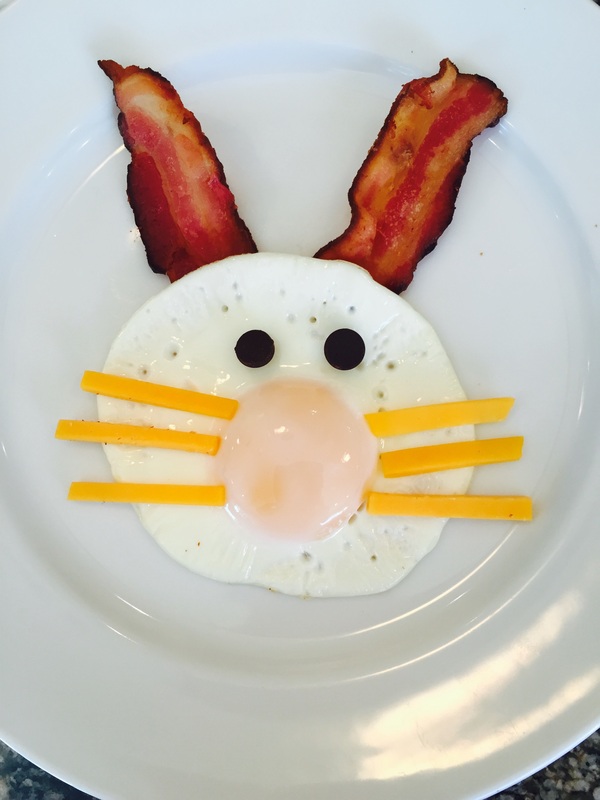 Then, I cut up some cheese into small strips for the whiskers, bacon for the bunny ears and chocolate chips for the eyes (it was all I could think to use for eyes that I had!) You can take them out before you eat your egg! so so cute! i love these! I nominated you for the Creative Blogger Award! Go Check it out!